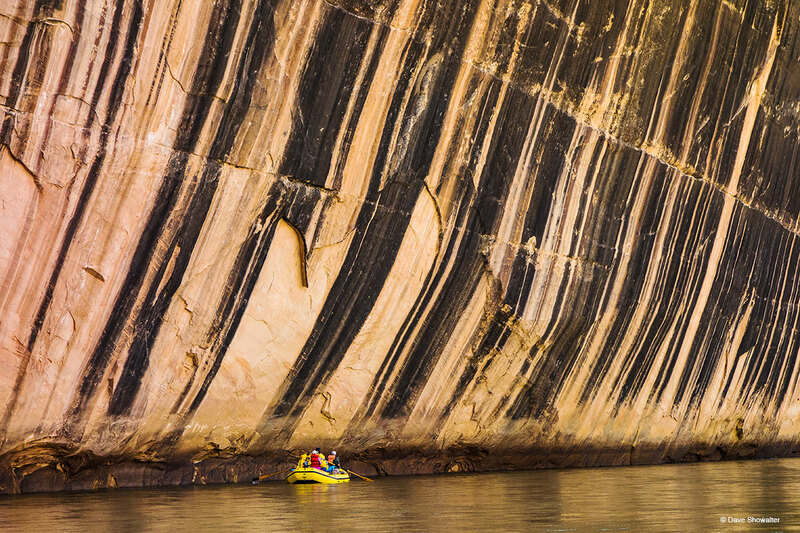 Feeling small while floating past the desert varnish stripes on Tiger Wall, a few of us observed the tradition of kissing the wall for safe passage through the rapids. To float the Yampa, the only un-damned and wild river in the Colorado River watershed will change your view shed. I made the image on an Audubon Rockies trip - they're running an annual raft trip, an incredible outreach expedition for their Western Rivers Action Network campaign. Photo © copyright by Dave Showalter.